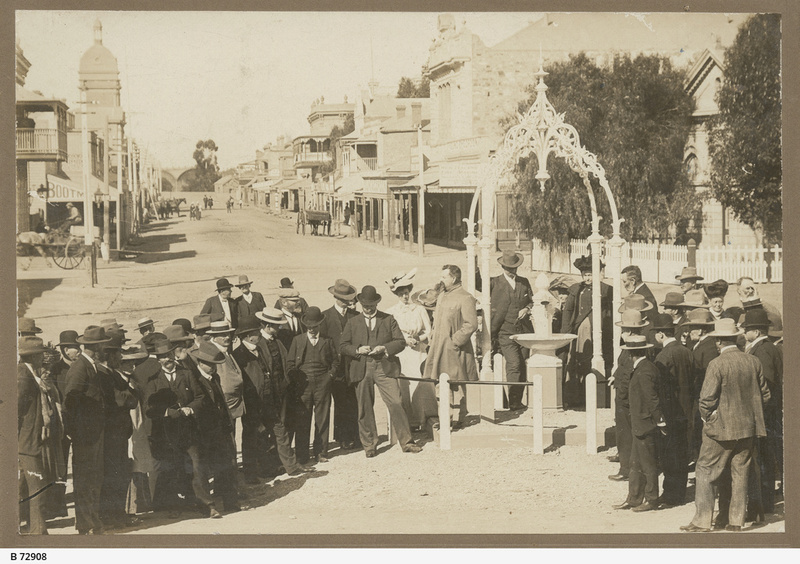 Group of people gathered in a main street of Port Augusta to open the Beaton Memorial Fountain. The crowd is mostly made up of men in their hats and suits. Part of the street can be seen behind the group along with several carts. From handwriting on the back of the photo: "Opening memorial to Mr. Beaton Postmaster drinking fountain." The road is possibly Commercial Road.